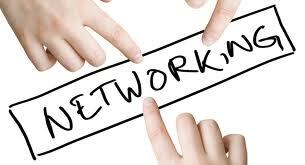 LoVArts is getting ready for its next networking event on Monday 25th February at 7pm. This will be our second meeting and we are very excited about that! We are hoping to meet new artists but also see those LoVArtists who already joined our collective. The February meeting links to the preparing for our first exhibition. So we are asking everyone to bring a photo of their art work. This will be used to put a portfolio of the collective so we can show it to potential venues. This entry was posted in Networking and tagged LoVArtists, LoVArts. Bookmark the permalink.